Sovereignty is the location of absolute power in the state. It is both a legal and a political concept. 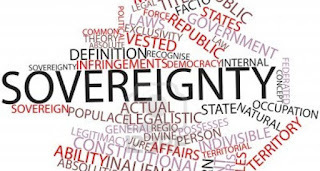 As a legal concept, sovereignty is concerned with the authority of the institutions of the state to make laws. As a political concept, sovereignty concerns the capacity to generate and exercise political power. 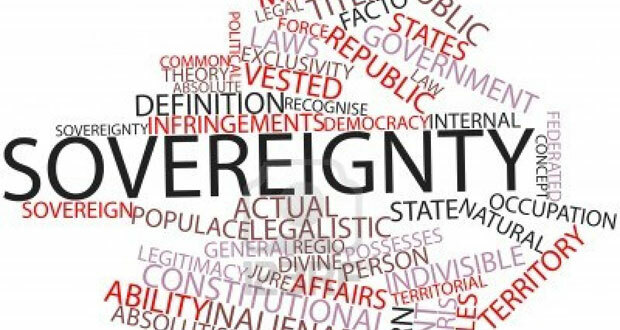 Public law is concerned with both aspects of sovereignty. If the focus is purely on the legal conception, public law will be unable to determine the practical capacity of the institutions of government purporting to enforce laws. For example, an elected government may not have the power to enforce laws if the government has been deposed in a coup. If the focus is only on the political conception, public law will not be able to differentiate between legitimate and illegitimate exercises of power under a particular constitutional system. For example, there needs to be a body (such as a court) to test the legitimacy of a new government purporting to exercise power in a state against criteria established in a constitutional document. A key public law question is how political sovereignty is secured in a state. The legitimacy of a state’s law depends on how the state was formed – through the agreement of the people to form it, through a voluntary handing over of power from one ruler to another, or through an original and unquestionable force. For the French philosopher, Jacques Derrida (1930–2004), it is an original act of force – a political act – that institutes the law. Derrida claimed that violence is at the origin of all law, and that therefore the legitimacy of the law is always in question and it requires constant reassertion and justification to maintain its legitimacy. An important part of the evolution of government was the separation of church and state. Prior to the formation of modern states, religion provided the public law for many states. European states either aligned themselves with the Catholic Church in Rome or established themselves in opposition to it. Either way, the laws of God and the laws of the state existed together. Human law was derived from divine law through the correct application of reason. Kings expounded the human law, known as natural law, and subjects were bound to follow it. The church was highly influential in affairs of the state – it dictated what was in the common good and determined what were appropriate beliefs. With the emergence of popular sovereignty – that is, rule by the people – church and state became separated. Once the people or their representatives were the highest authority, it was their will that reflected the public good and determined the public law. The authority of government in most modern states is now premised, at least in theory, on an agreement of its people to institute a binding constitution that allocates power to governing institutions. But the agreement of the people remains forever contingent. Legal sovereignty only secures law-making power in governing institutions to the extent that political support for the constitution remains. The German political theorist Carl Schmitt argued that power cannot simply be traced to an origin. Instead, he put forward a thesis that the source of true power is revealed at the moment of its exercise in a time of crisis. In other words, the mark of sovereignty is precisely the power to make decisions outside (or create exceptions to) the regular law. As Schmitt put it, ‘sovereign is he who decides on the exception’. There is a tendency in public law to assert that all problems of power are resolvable within the law. This is evident in the focus of public law texts, such as this one, on the lawful limits on executive power. But as Schmitt recognised, the law cannot deal with exceptional power which, by definition, is exercised outside the law. Schmitt’s analysis of the ultimate source of power itself contains a paradox. Rulers exercising exceptional power may demonstrate their sovereignty, but the very exercise of sovereign power outside the law will soon undermine public support for their legitimacy, highlighting once again that legal and political sovereignty cannot be sensibly separated and must both be considered in the study of public law.